LINK Ball, Charles. Slavery in the United States: A Narrative of the Life and Adventures of Charles Ball, a Black Man, Who Lived Forty Years in Maryland, South Carolina and Georgia, as a Slave Under Various Masters, and was One Year in the Navy with Commodore Barney, During the Late War. New York: Published by John S. Taylor, 1837. Callcott, Margaret Law, ed. Mistress of Riversdale. Baltimore: Johns Hopkins University Press, 1991. LINK Gleig, George Robert. 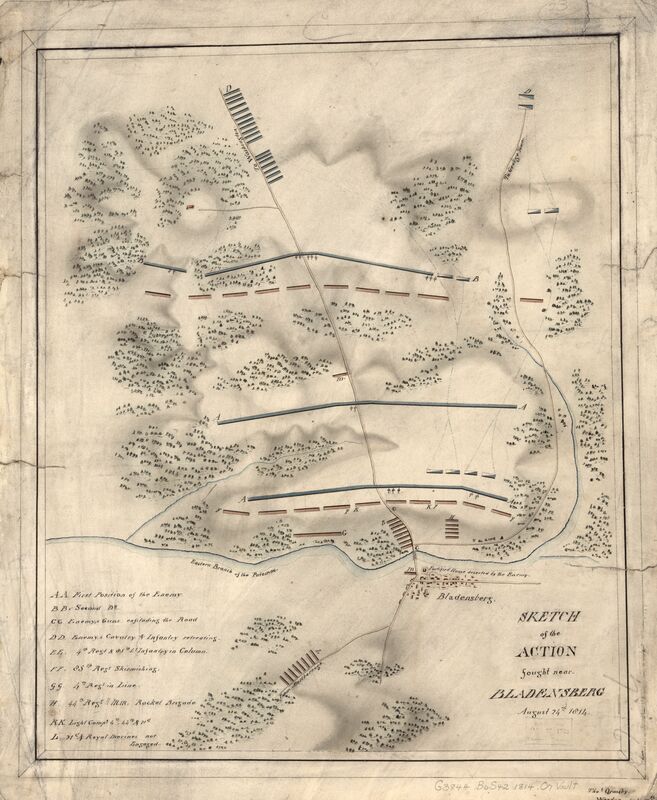 A Narrative of the Campaigns of the British Army at Washington and New Orleans. London: John Murray, 1821. LINK Madison, Dorthy Todd, ed. Memoirs and Letters of Mrs. Madison. Boston: Houghton Mifflin and Co., 1886. LINK McKenney, Thomas. “Battle of Bladensburg.” The Portico. Vol 5, 1818: 359-370. Borneman, Walter. 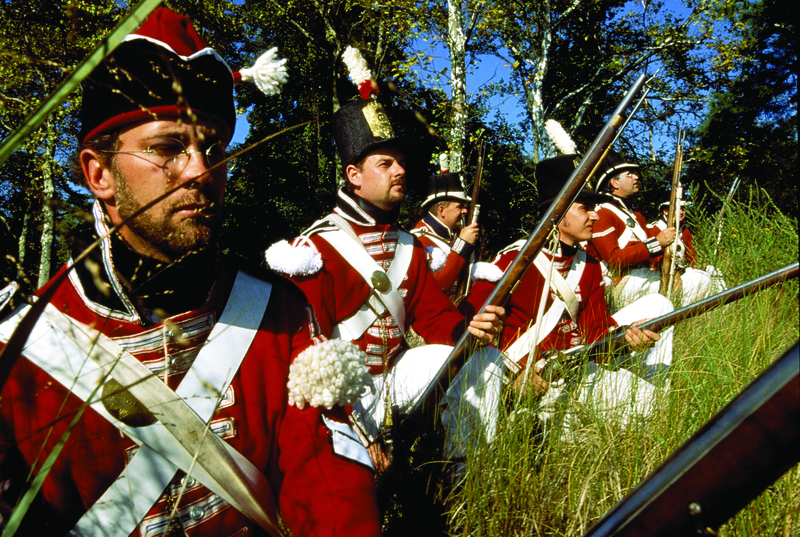 1812: The War that Forged a Nation. New York: Harper Collins, 2005. LINK Brackenridge, Henry. History of the Late War, Between the United States and Great Britian. Philadelphia, PA: James Kay and Brother, 1836. Lord, Walter. The Dawn’s Early Light. Baltimore: Johns Hopkins University Press, 1994. LINK Marine, William M. The British Invasion of Maryland 1812-1815. Baltimore: Society of the War of 1812, 1913. Pitch, Anthony. The Burning of Washington. Annapolis: Naval Institute Press, 1998. LINK Williams, John S. History of the Invasion and Capture of Washington and of The Events Which Preceded and Followed. New York: Harper & Brothers, 1857. LINK Wharton, Anne Hollingsworth. Social Life in the Early Republic. Philadelphia, PA: J.B. Lippincott Company, 1902. LINK United States. American Battlefield Protection Program, National Park Service. Report to Congress on the Historic Preservation of Revolutionary War and War of 1812 Sites in the United States. Washington: NPS, 2007. LINK United States. National Park Service. 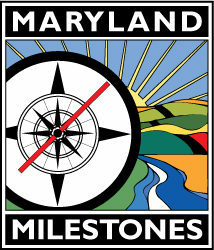 Star Spangled Banner National Historic Trail Feasibility Study and Environmental Impact Statement. Philadelphia, PA: NPS, 2004. LINK United States. National Park Service. Star Spangled Banner National Historic Trail Interpretive Plan. Annapolis, MD: NPS, 2011. LINK United States. National Park Service. Access, Stewardship and Interpretive Opportunity Plan for Water Portions of the Star Spangled Banner National Historic Trail. Annapolis, MD: NPS, 2010.